It was a successful weekend for Falmouth student Harvey Thompson, with over 130 people attending the Dracaena Centre for table tennis fun. 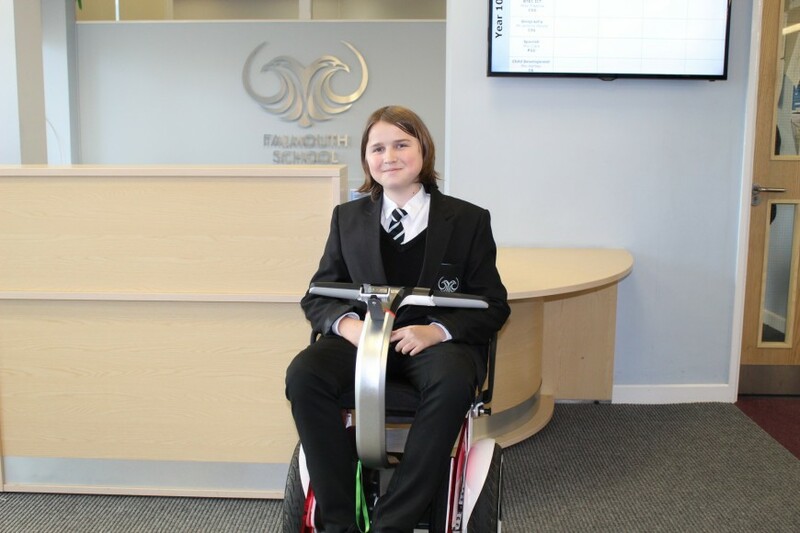 It has been a busy few months for Harvey, who unfortunately suffers from Limb Girdle Muscular Dystrophy, with previous fundraisers helping towards securing a futuristic ‘Nino’ wheelchair which Harvey now uses. Harvey is a keen table tennis player and the intention of the fundraiser, was to be able to buy an all-weather table tennis table for his garden at home to make practising more accessible. Harvey has ambitions of make the Team GB Paralympic team in table tennis, and the sports plays a huge role in keeping him active and mobile. The event was a huge success, raising £800 and was well supported by the local Fire Service who pledged a cheque which they will present in January and a raffle with several generous donations. Members of the fire service also kindly volunteered to help dig up the garden for the table to make it as easy as possible for Harvey. Harvey’s mum, Melissa, said “Yet again we have been totally overwhelmed by the support and kindness shown towards Harvey and it is very uplifting on what is a very emotional journey.” You can still donate towards Harvey’s wheelchair on his just giving page, by following the link below.